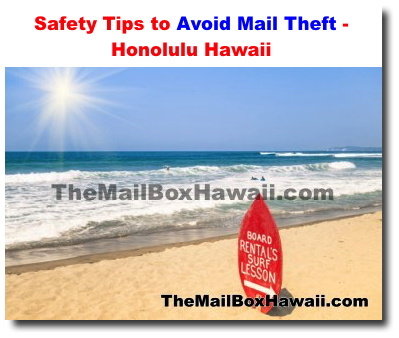 Here are some helpful ways you can avoid having your mail stolen. 2. If you need to send money in the mail, use checks or money orders, avoid cash or coins. 3. If you're taking a trip, have your local post office hold your mail. when the items are delivered, ask someone you trust to pick up your mail for you.